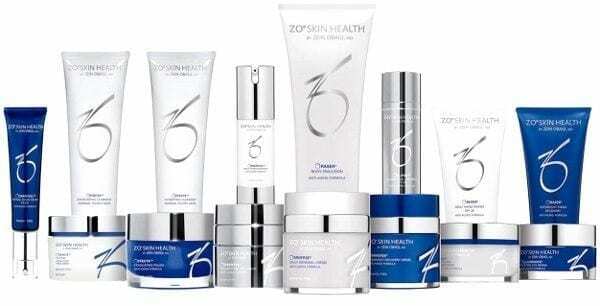 ZO Skin care range was developed by world renowned dermatologist Dr Zein Obagi to help treat fine lines, wrinkles, hyperpigmentation and age spots. It is a world-class range of advanced skincare products and regimes that can be used at home under medical supervision to treat specific skincare complaints. ZO skin health believes in the philosophy of turning “skin inside out” rather than expecting topical lotions typically purchased from the high street to prove quick-fixes. ZO skin health by Zein Obagi uses potent ingredients including retinol, advanced peptides and powerful anti-oxidants to stimulate the deeper skin cells to repair, nourish and hydrate. The 5 step process includes; Cleanse, activate, stimulate, calm and nourish and protect leaves the skin looking radiant from inside out.